non-profit organization (AISBL) based in Brussels, Belgium. Grazia is an Italian Entrepreneur. She is ambassador for female entrepreneurship at the Women Ambassadors Italy (WAI), a project supported by the European Commission’s DG Growth. In 2009, Grazia Rendo became a member of the Board for UNESCO’s Intercultural Euro-Mediterranean Center. Isabel is a multimedia executive with 25+ years experience in developing and operating broadcasting/content production companies with audiences in 150+ countries. 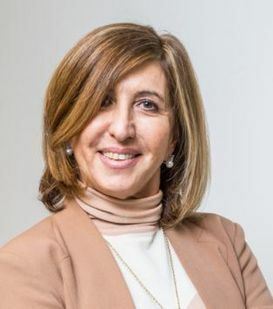 She started her own communications and television production company, Atomis Media, and she is a founder member of the Spanish Academy of Sciences of Television of Spain, Vice-Chairwoman of Woman on Film and Television of Spain (CIMA), and founder member of accelerator “SheLeader”. Charlene is an international marketing and business development specialist, educator, and trainer. She has a Masters degree in Urban and Regional Planning and has over 15-years experience in international inward investment promotion for organizations in Canada and the Netherlands. The Digital Leadership Institute is a Brussels-based international NGO whose global mission is to promote inclusive digital transformation. The initiatives of the Digital Leadership Institute include Digital Brusselles, the first female tech incubator in Europe, the ADA Awards recognizing top girls and women in tech in Europe. Diana Filip is currently Deputy CEO and Vice President for Marketing and Development at JA Europe. She holds a MBA from the Vlerick School of Management Leuven and a Masters in European Economic Integration from the Vrije Universiteit de Brussels. She started her career as an entrepreneur running her own company in Romania and she then moved to Brussels as President of the European Students Forum and consultant in Public Affairs. ​​Ana is a policy strategist with experience across multiple sectors including energy, environment and ICT. She is a Co-Founder of the EuropeanPublicAffairs.eu blog (Winner of the 2014 European Public Affairs Award - Digital/Social Media Champion). Margaux is a public affairs and communications consultant based in Brussels. Graduated in international relations with a major in European project management, she has previously gained experience in a public relations agency in Italy specialising in cross-sector corporate communications.